First of all, it’s hard to stick to an exercise program. 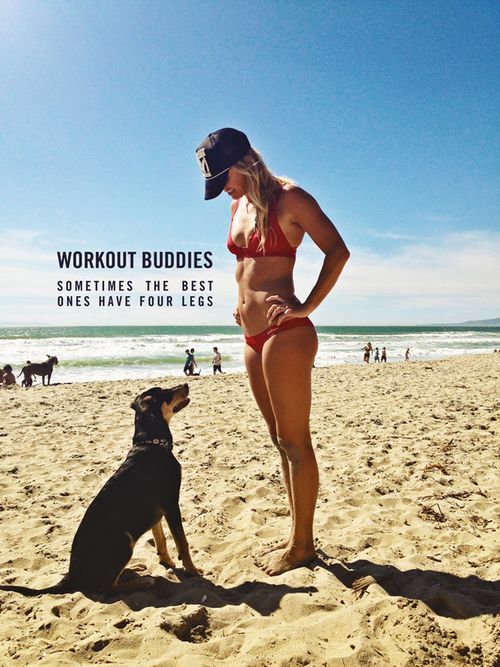 Furthermore, a dog can be a great personal trainer. A dog is loyal, hardworking, energetic and enthusiastic. Most of all, your friends will skip an exercise session because of appointments, extra chores or bad weather. A dog will never give you an excuse. The U.S. Department of Labor reported some stats on exercise. As a result, only 16 percent of Americans exercise. This was people 15 and older. This is where your dog can be your personal trainer. Furthermore, a survey of dog owners was conducted at the University of Western Australia. The survey revealed that a dog is a great motivator. We need adequate exercise which is most noteworthy. Adequate exercise promotes good health. How much should you exercise? Especially relevant, children need an hour of exercise a day. The age category is 5 to 17 years old. Adults need to exercise five days per week. 30 minutes of aerobic exercise five days per week. Furthermore, adults need strength training 2 days per week. The age category is 18 to 65 years old. People over 65 years old need 30 minutes of exercise five days per week. Modifications are needed for seniors over 65 years old. Older adults need flexibility and balance exercises. Balance and flexibility exercise five days per week. Researchers at the University of Western Australia found an interesting fact. Consequently, seven in 10 adult dog owners achieve 150 minutes of exercise seven days per week. Compare this with four in every 10 non-owners. In addition, they monitored dog owners for one year. Furthermore, their recreational dog walking increased to 48 minutes per week. Hence, six in 10 dog lovers walked their dogs seven days per week. Finally, dog walking is effective exercise. Especially relevant, many people exercise to help them lose weight. Obesity is a global epidemic. Furthermore, obesity affects one in every three adults. This is in the United States and Europe. The study evaluated dog owners and obesity. The study was published in the journal Preventive Medicine. Dog owners who walk their dogs were healthier. In addition, the risk of obesity decreased by 25 percent. Most of all, dog walking is a good excuse to get up off the couch. Hence, people without dogs have the risk of obesity. Everyone should have a dog as a pet. Dog walking is responsible for cutting childhood obesity in half! Therefore, a good plan for dog walking is important. Most of all, people forget about healthy walking plans. So set the stage for a successful program. Make your walking schedule 30 minutes each day. Dog walking is a 10-minute neighborhood walk in the morning. And after work walk the dog for a 20-minute romp at the dog park. Walking your dog for three 10-minute walks will work. Or a 30-minute walk may be better for your schedule. And in addition, if dog walking is scheduled you’ll feel more responsible. As a result, sticking with your program. Plus, your dog will get used to the routine. Therefore, your dog will remind you when “it’s time! Use a walking progress calendar and track your progress. Post a walking calendar on the refrigerator. In addition, add a sticker for the 10 minutes of walking you do each day. This will remind you and make you pause before opening the refrigerator door. Therefore, you won’t be tempted to eat a sugary snack. In conclusion, Grab the leash, call your dog, and start walking! Dog walking is a great way to keep a healthy lifestyle. Try our all natural Fat Burners and Shed Pounds Quick! To learn more Just Click a Link!